For the third straight year the second quarter of 2012 was characterized by negative equity returns. The S&P/TSX Composite Total Return Index posted a -5.7% return while the S&P 500 posted a -2.8% total return. 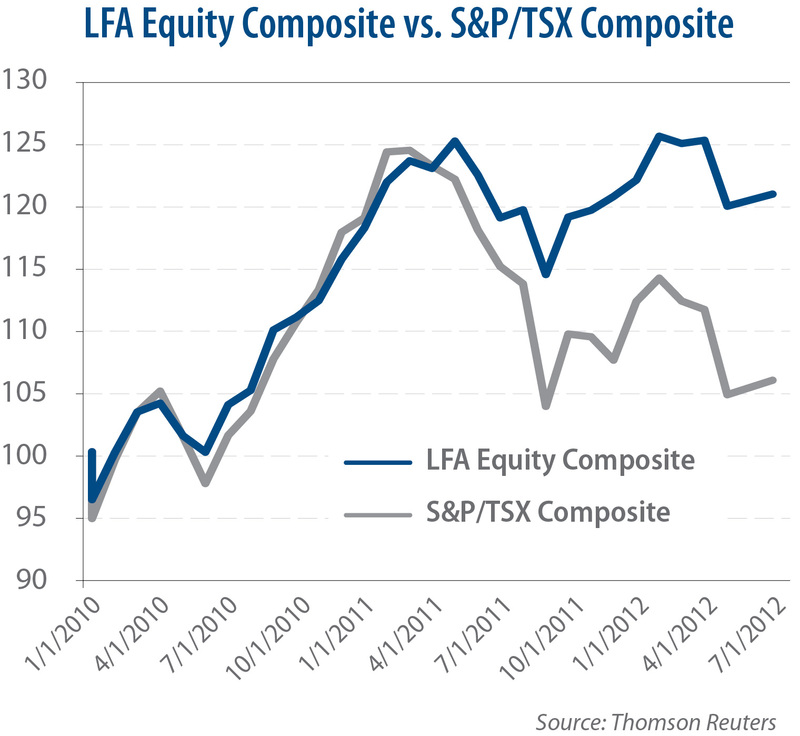 This marks the third straight year of second quarter frustration for equity investors in Canada, following -5.1% and -5.5% total returns for the S&P/TSX Composite in Q2 2011 and Q2 2010 respectively. In varying combinations, European sovereign debt worries, softening US economic data, and typical weak seasonality for equities were blamed for the poor market performance in all three cases. 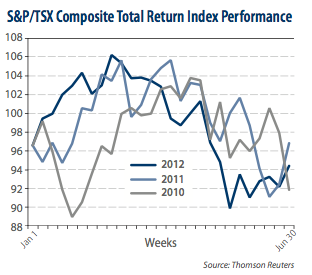 Chart One depicts first half S&P/TSX Composite performance in each of the last three years. In each instance, the market followed a positive first quarter with a decidedly negative second quarter, to end the six-month period relatively flat. Notice that 2011 and 2012 have been eerily similar, right down to the timing of the movements from week to week. The narratives that have contributed to negative market sentiment are far from their ultimate conclusions. Market worries about Europe have persisted for the last three years and could continue for at least another three years. The US sub-prime mortgage bubble and subsequent recession began over five years ago and still shows no signs of a final resolution. Global growth continues, with strong developing world results hampered by the deleveraging of major western economies. Leon Frazer continues to focus on companies that maintain and increase dividends. 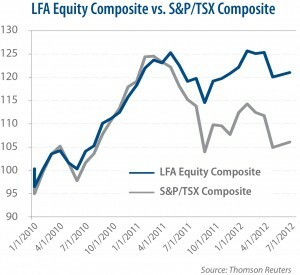 Chart Two compares the monthly performance of the LFA Equity Composite with the S&P/TSX Composite since January 2010. Notice the consistent upward trend and lower variation of our returns when compared with the S&P/TSX Composite Total Return Index. This is attributed to a strategy of selecting dividend-growing stocks from stable industries and the fact that Leon Frazer does not own the Canadian market, which is over 50% concentrated in resource producers.